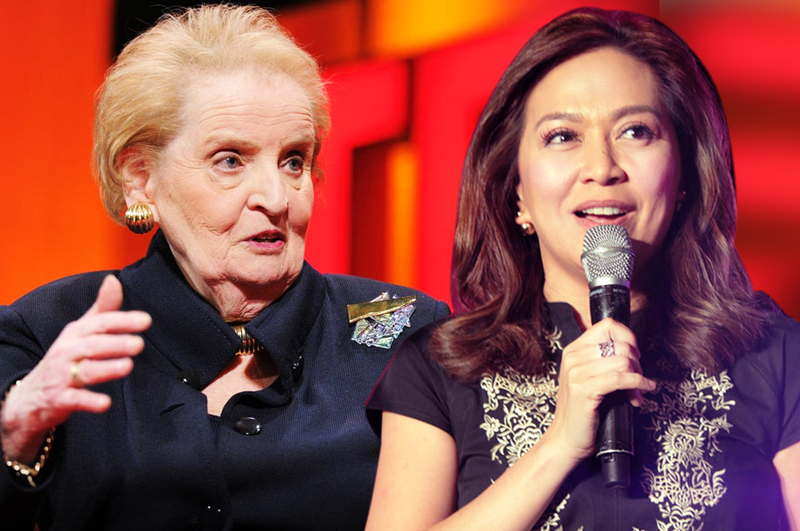 The ABS-CBN News Channel is set to stage its annual leadership forum this July, featuring American politician and diplomat Madeleine Albright as its guest speaker. Set to take place at the Sofitel Philippine Plaza Manila on July 19, the former U.S. Secretary of State will headline ANC's forum on Global Governance and the World Economy. Headstart and Bandila anchor Karen Davila will moderate the discussion. Dr. Albright was America's first female Secretary of State -- serving under the administration of former President Bill Clinton. Before that, she was appointed as U.S. ambassador to the United Nations, and was also a member of Clinton's National Security Council. As America's top diplomat at that time, Albright helped shape American policies in critical areas like the Middle East, China, Bosnia and Kosovo. She has also been credited for mediating peace talks between Israelis and Palestinians, and is one of the highest-ranking U.S. officials to have met with the leader of North Korea. This will be the second forum from the ANC Leadership Series to be staged by the Kapamilya news channel. Last year, they brought in Virgin Group founder and philanthropist Sir Richard Branson for the Asian Innovation and Entrepreneurship Forum moderated by Market Edge anchor Cathy Yang. Tickets to the forum can be purchased on TicketNet and TicketWorld and are priced at P35,000 and P20,000. For inquiries and reservations, visit ticketnet.com.ph and ticketworld.com.ph. You may also call 911-5555 (TicketNet) or 891-9999 (TicketWorld).